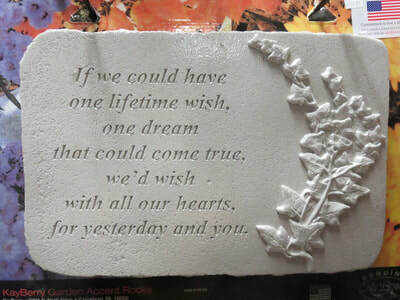 "If we could have one lifetime wish, one dream that could come true, we'd wish with all out hearts, for yesterday and you." $62.99, 15"x10"
"Your memory is my keepsake, with which I'll never part. 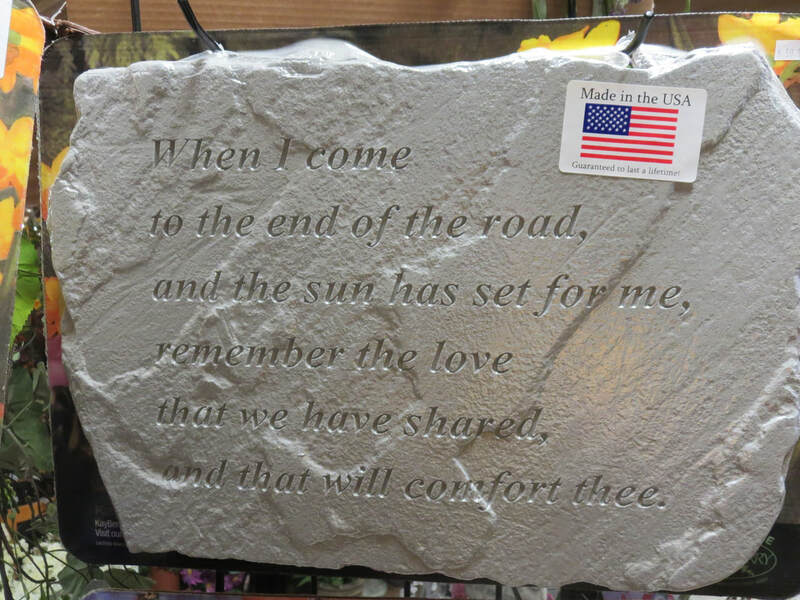 God has you in His keeping, I have you in my heart" $59.99, 15"x10"
"When I come to the end of the road, and the sun has set for me, remember the love that we shared, and that will comfort thee." 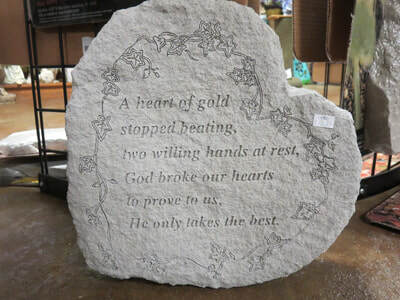 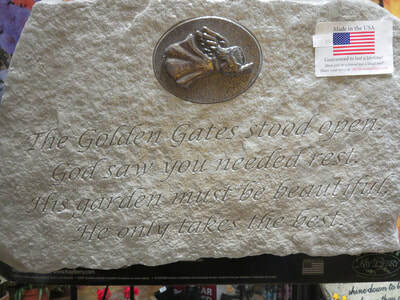 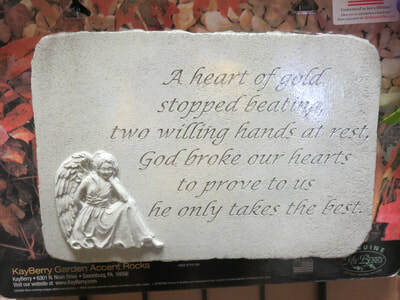 $59.99, 18"x12"
"The Golden Gates stood open, God saw you needed rest, His garden must be beautiful, He only takes the best" $69.99, 18"x11"
"A heart of gold stopped beating, two willing hands at rest, God broke out hearts to prove us he only takes the best." $59.99, 15"x10"
"Although you can't be here with me, we're truly not apart, until the final breath I take, you'll be living in my heart." 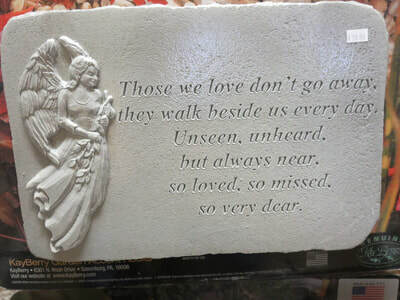 $59.99, 15"x10"
"You will always be in our hearts" $59.99, 15"x10"
"Those we love don't go away, they walk beside us every day. Unseen, unheard, but always near, so loved, so missed, so very dear." 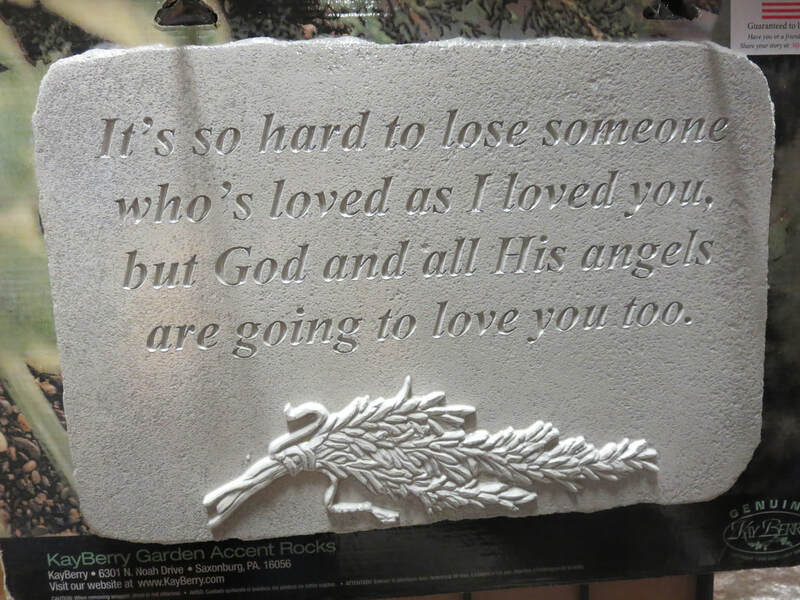 $59.99, 15"x10"
"It's so hard to lose someone who's loved as I love you, but God and all His angels are going to love you too." $59.99, 15"x10"
"Heaven is a place that glows beyond compare. 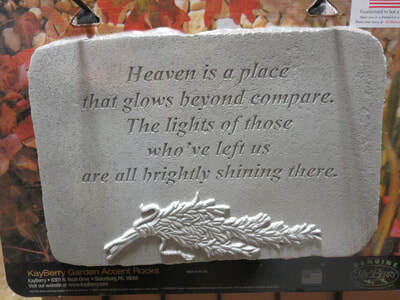 The lights of those who've left us are all brightly shining there." 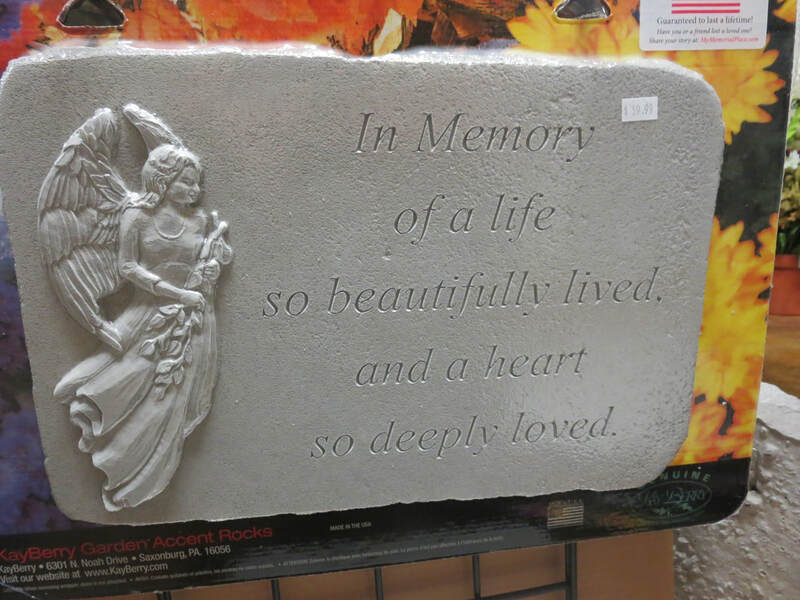 $59.99, 15"x10"
"In memory of a life so beautifully lived, and a heart so deeply loved." 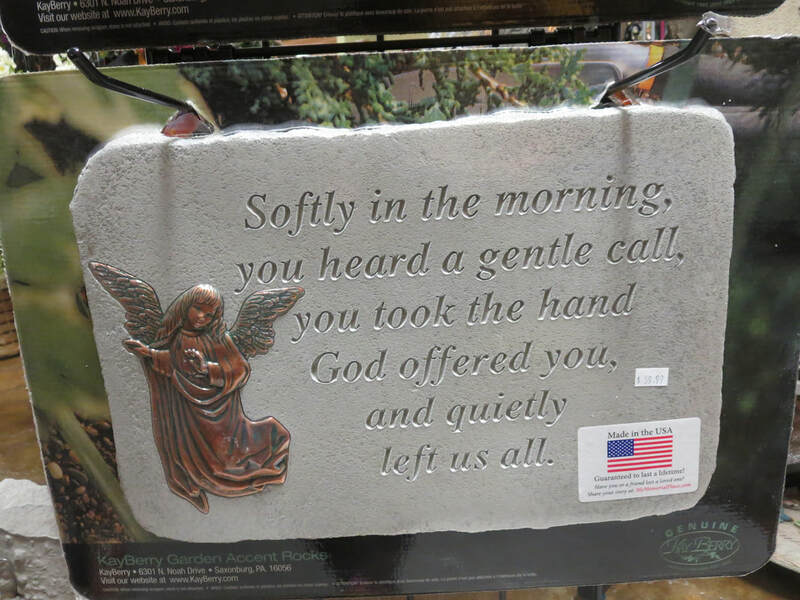 $59.99, 15"x10"
"Softly in the morning, you heard a gentle call, you took the hand God offered you, and quietly left us all." 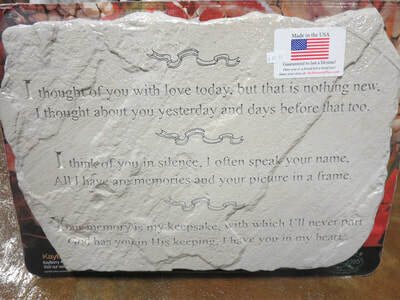 $59.99, 15"x10"
"I thought of you with love today, but that is nothing new. I thought about you yesterday and days before that, too. I think of you in silence, I often speak your name. 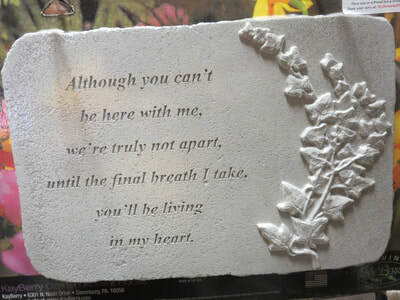 All I have left are memories and your picture in a frame. 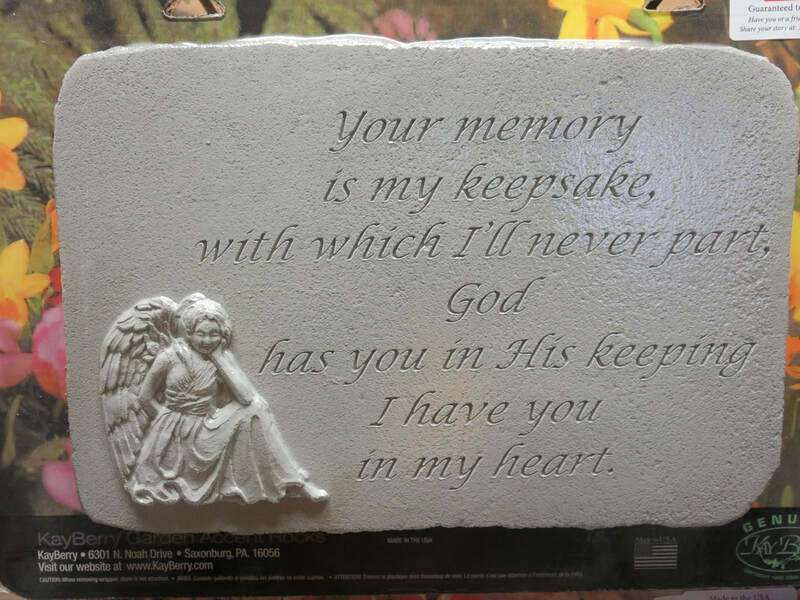 Your memory if my keepsake, with which I'll never part. God has you in His keeping, I have you in my heart." 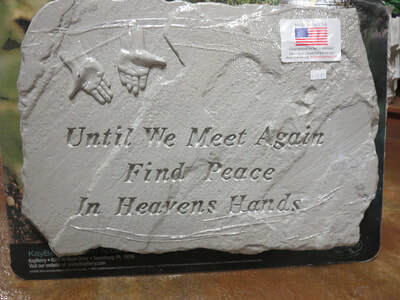 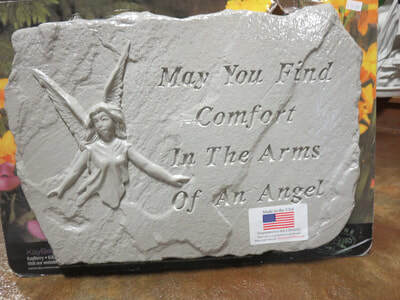 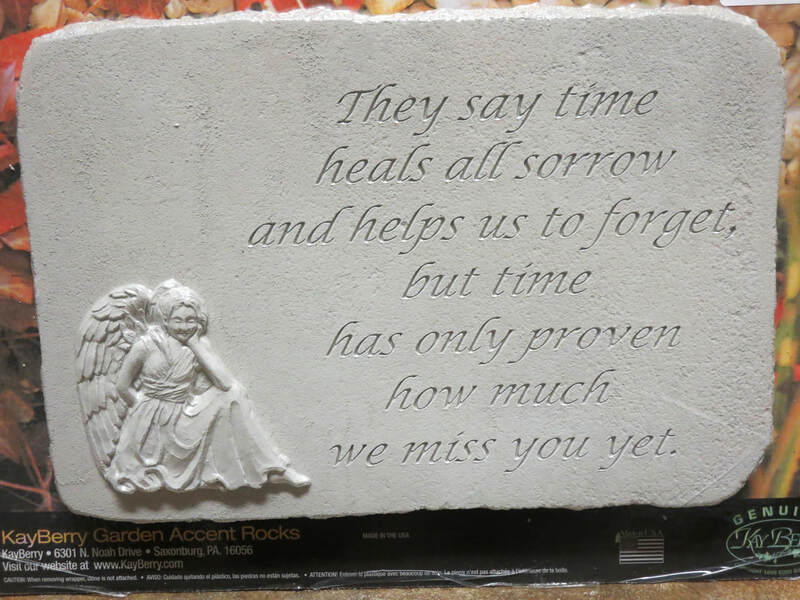 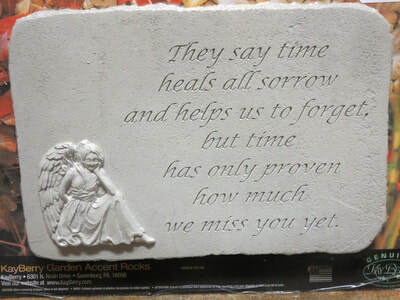 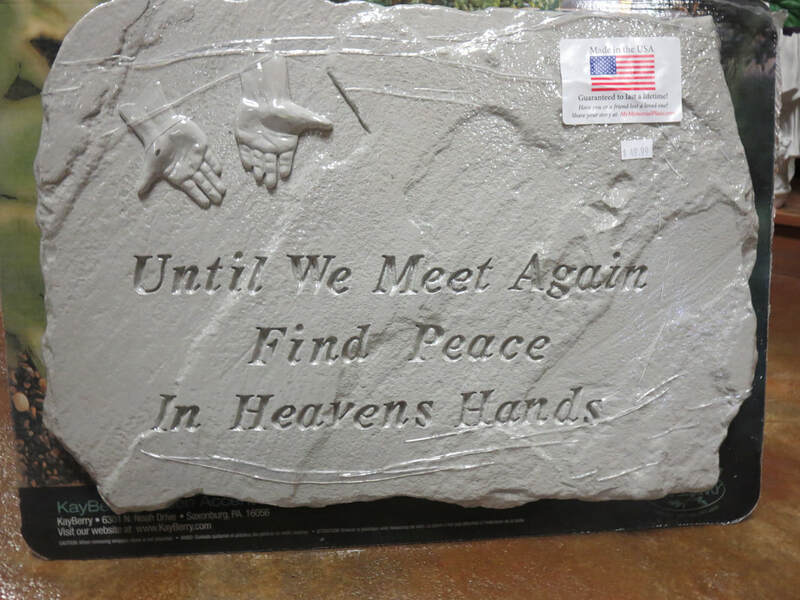 $49.99, 18"x12"
"May You Find Comfort In The Arms Of An Angel" $59.99, 18"x12"
"Until We Meet Again Find Peace In Heavens Hands" $49.99, 18"x12"
"They say time heals all sorrow and helps us to forget, but time has only proven how much we miss you yet." 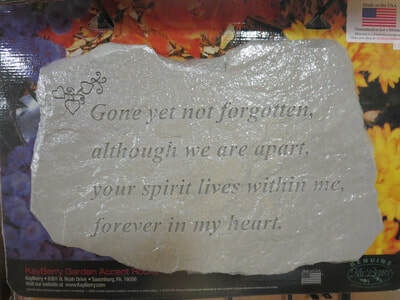 $59.99, 15"x10"
"Gone yet not forgotten, although we are apart, your spirit lives within me, forever in my heart." 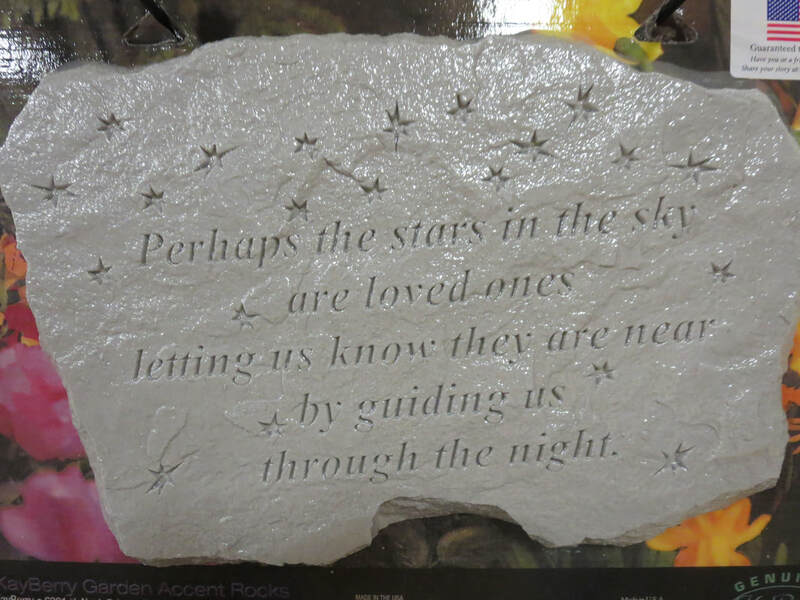 $39.99 16"x10"
"Perhaps the stars in the sky are loved ones letting us know they are near by guiding us through the night." 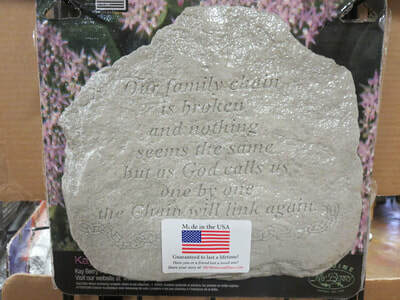 $39.99, 15"x10"
"Our family chain is broken and nothing seems the same, but as God calls us one by one, the Chain will link again." 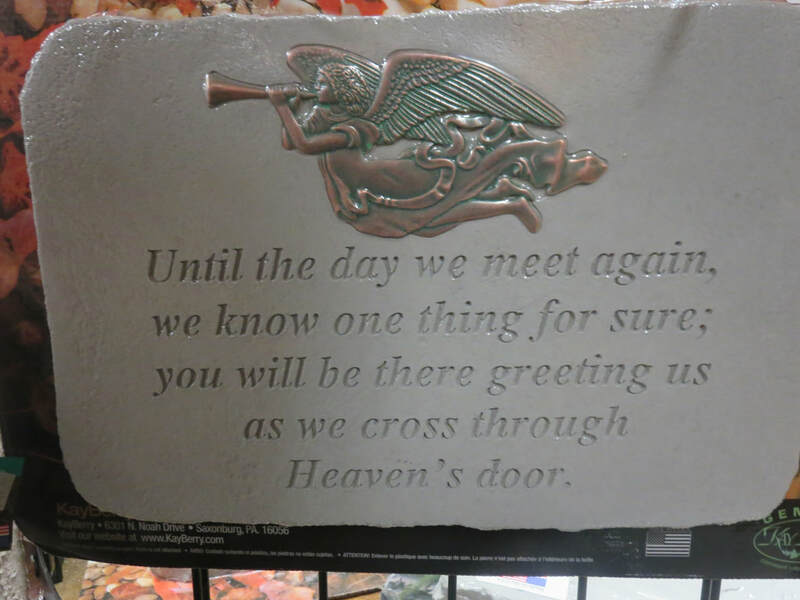 $29.99, 10"x10"
"Until the day we meet again, we know one thing for sure; you will be there greeting us as we cross through Heaven's door." 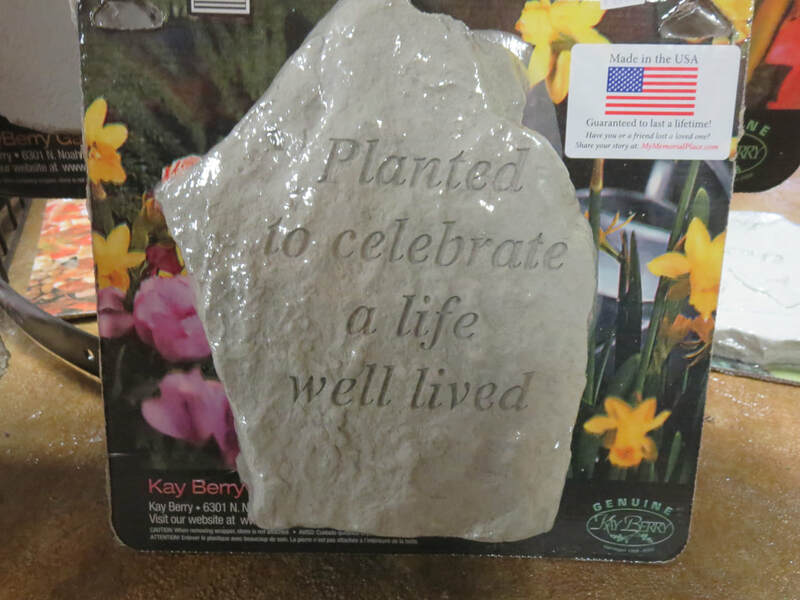 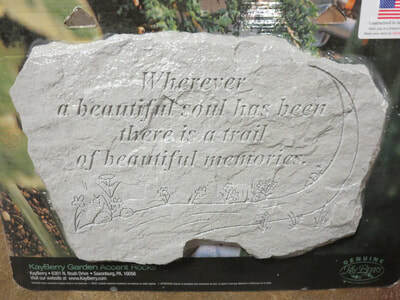 $59.99, 15"x10"
"Planted to celebrate a life well lived" $24.99, 8"x10"
"Wherever a beautiful soul has been, there is a trail of beautiful memories." 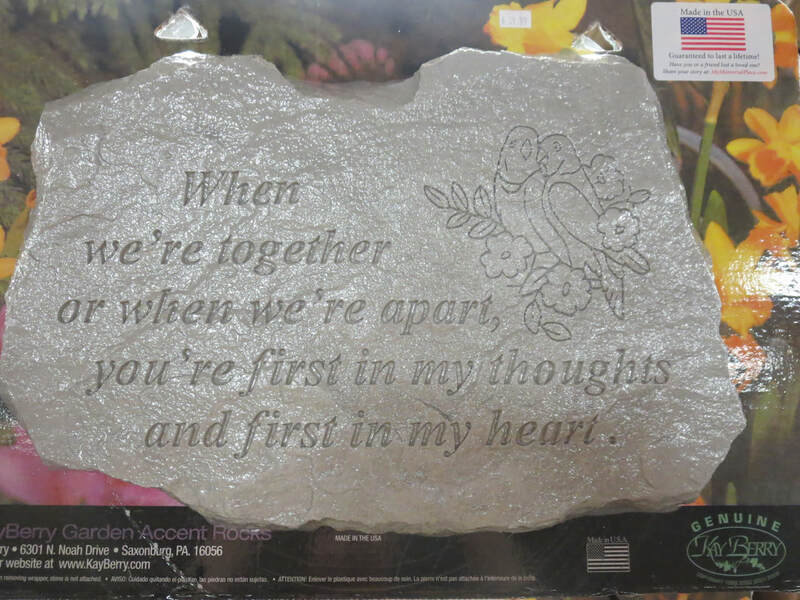 $39.99, 15"x10"
When we're together or when we're apart, you're first in my thoughts and first in my heart." $39.99, 16"x11"
"Each night when I am lonely, I know just where you are. 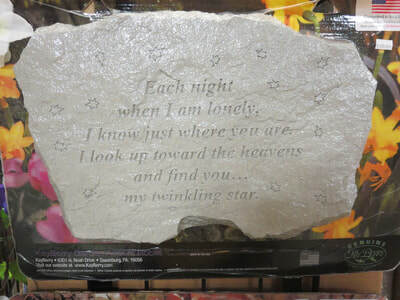 I look up toward the heavens and find you... my twinkling star." $29.99, 16"x10"
"God grant me the serenity to accept the things I cannot change. 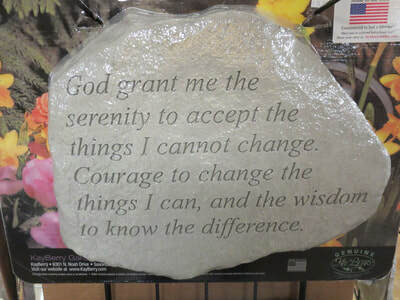 Courage to change the things I can, and the wisdom to know the difference." 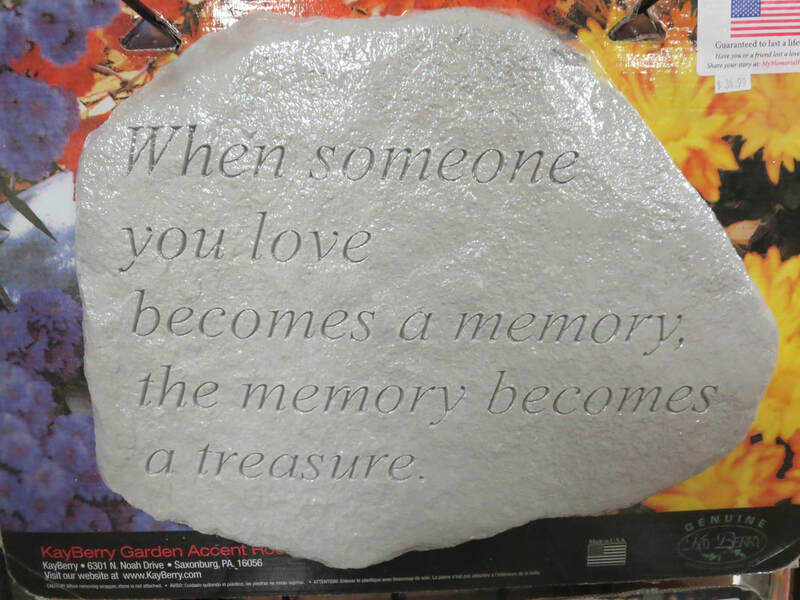 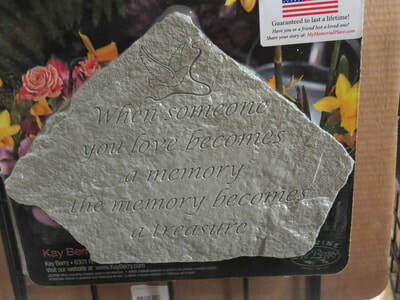 $34.99, 16"x12"
"When someone you love becomes a memory, the memory becomes a treasure." 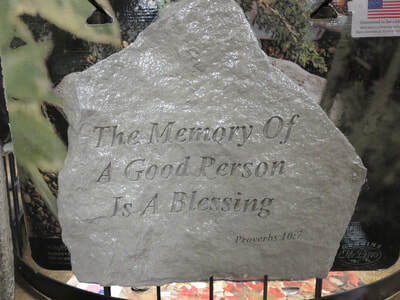 $34.99, 15"x12"
"The Memory Of A Good Person Is A Blessing" "Proverbs 10:7" $29.99, 15"x14"
"My mother kept a garden, a garden of the heart, she planted all the good things that game my life its start. 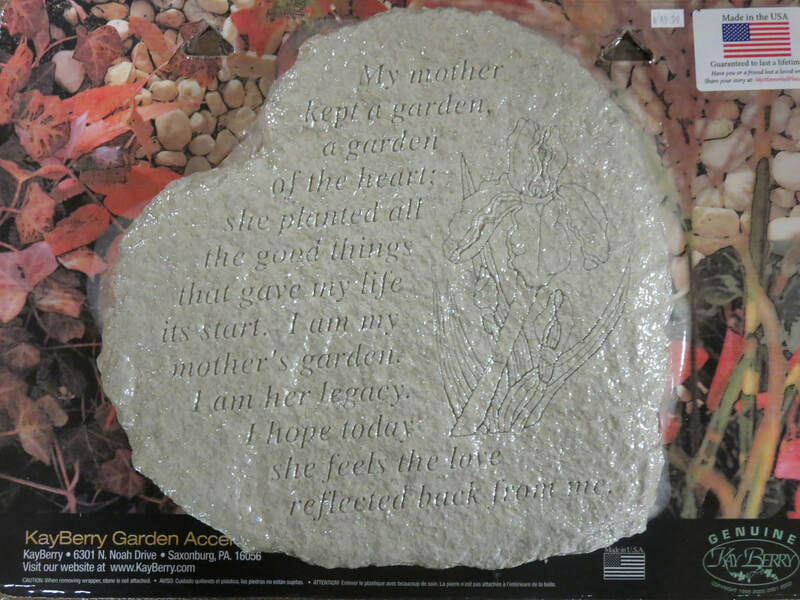 I am my mother's garden, I am her legacy. I hope today she feels the love reflected back from me." 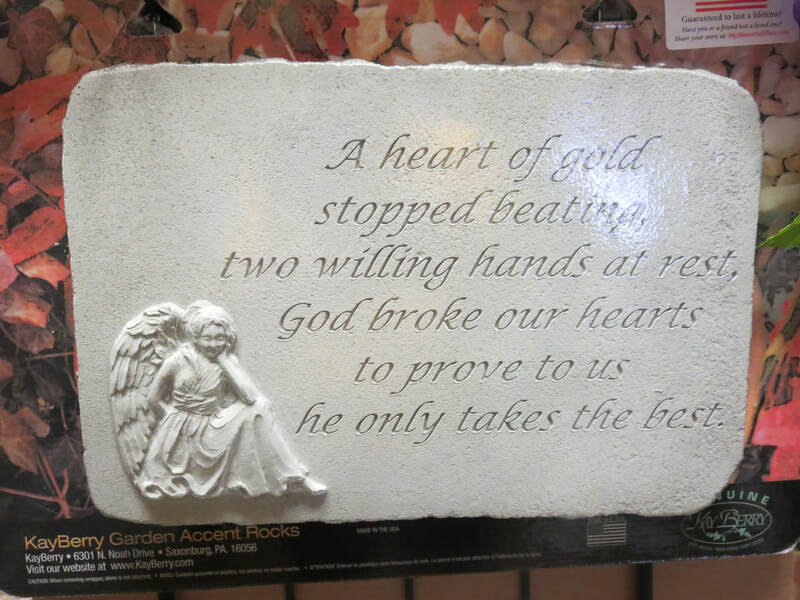 $52.99, 12"x12"
"A heart of gold stopped beating, two willing hands at rest, God broke our hearts to prove us, He only takes the best." 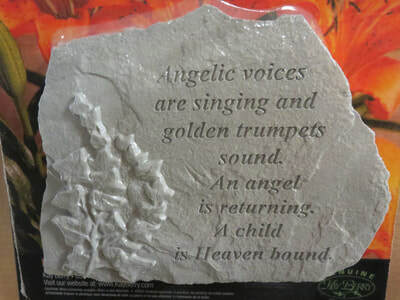 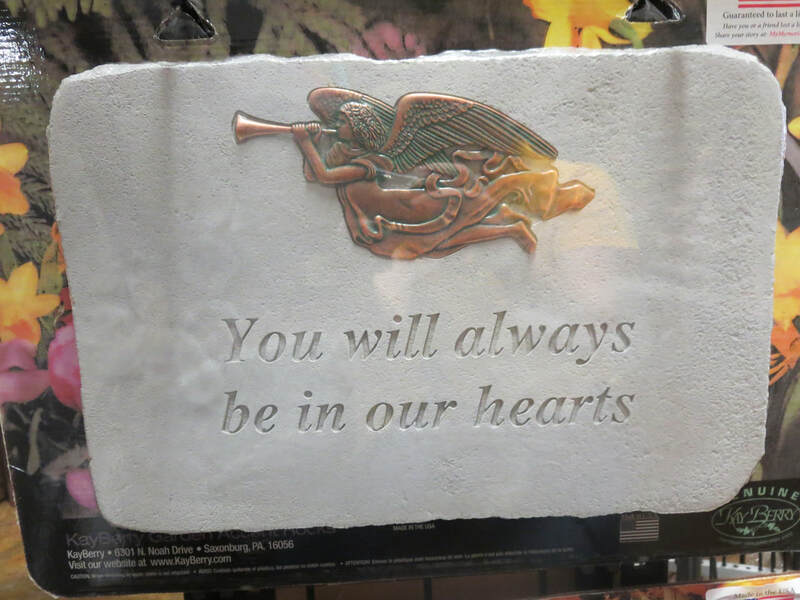 $52.99 12"x12"
"When someone you love becomes a memory the memory becomes a treasure" $19.99, 11"x8"
Angelic voices are singing and golden trumpets sound. 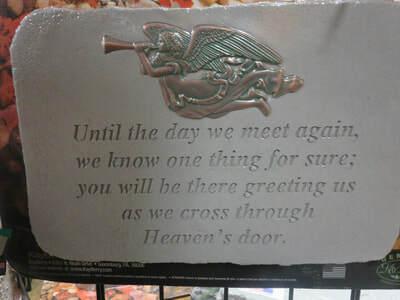 An angel is returning. 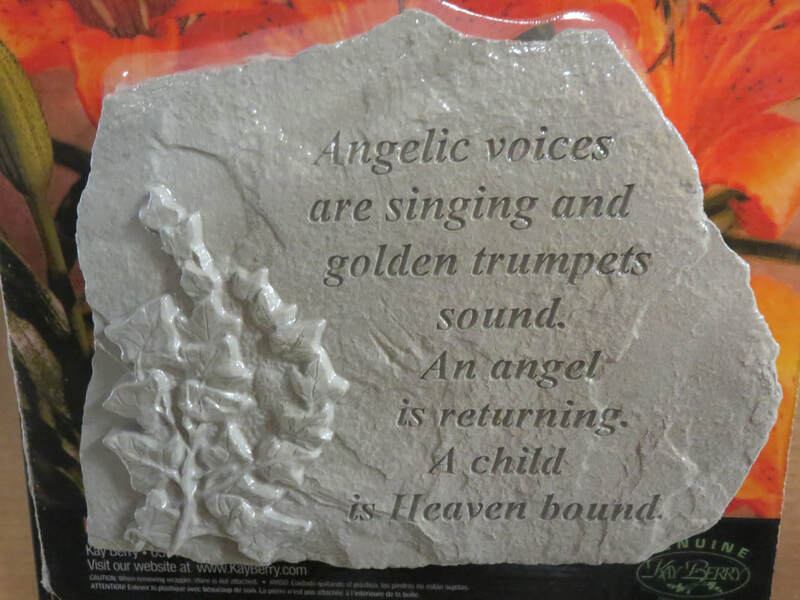 A child is Heaven bound." 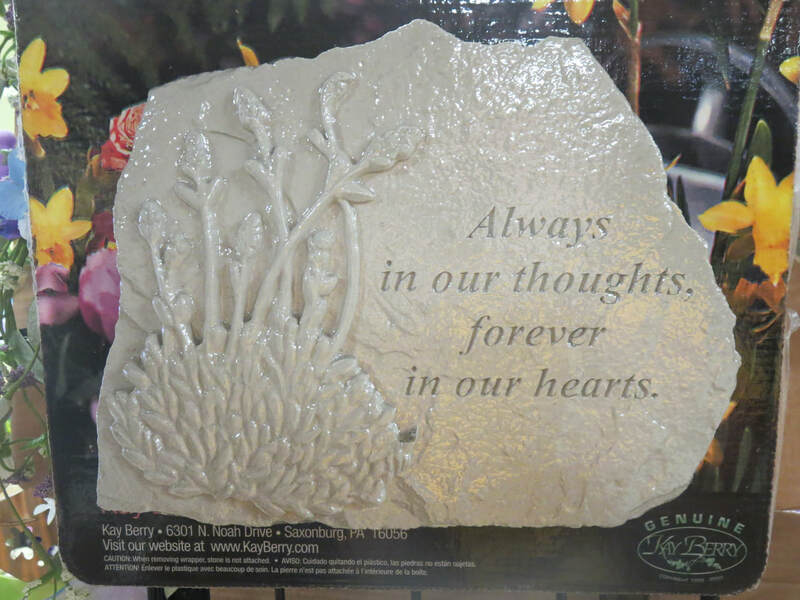 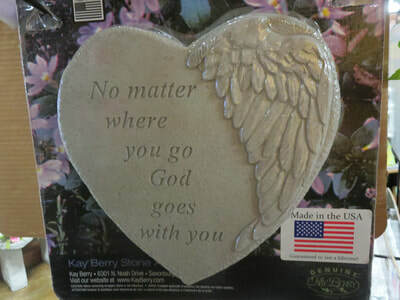 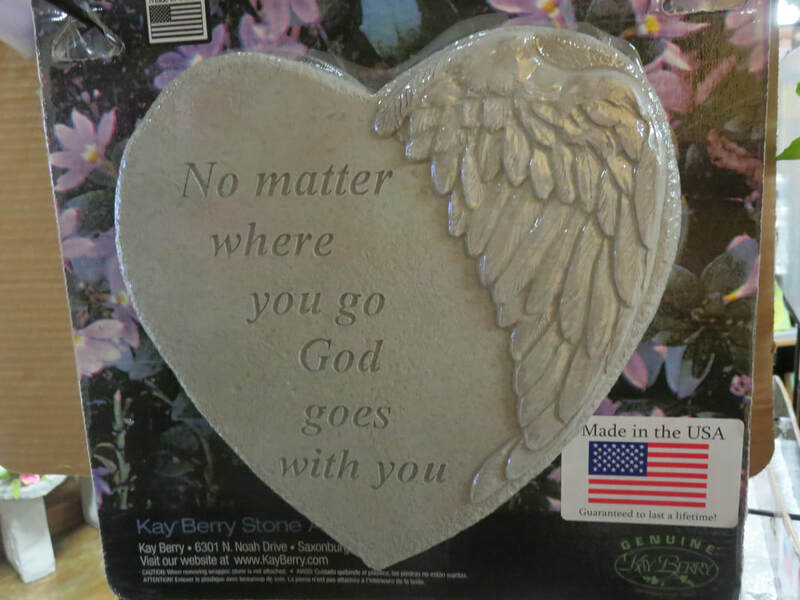 $29.99, 10"x8"
"No matter where you go God goes with you" $29.99, 9"x9"
"Always in our thoughts, forever in our hearts." 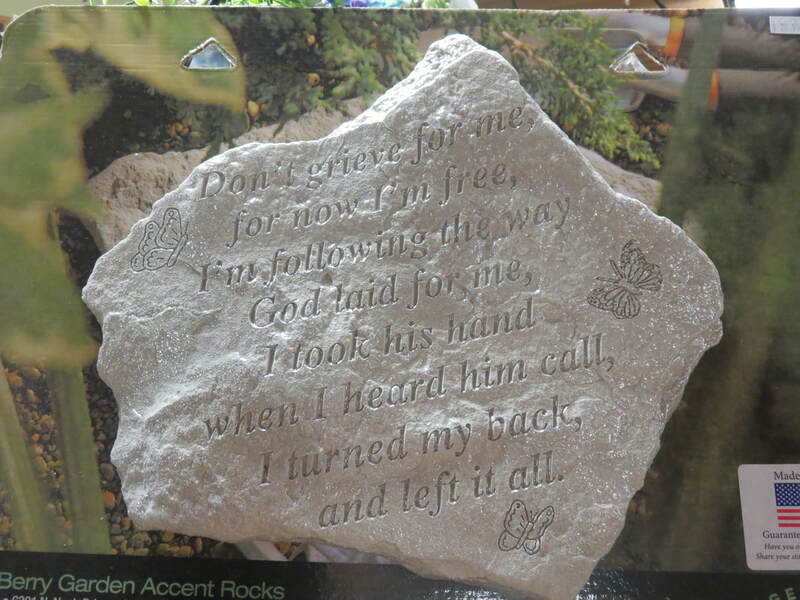 $29.99, 10"x8"
Don't grieve for me, for now I'm free, I'm following the way God laid for me, I took his hand when I heard him call, I turned my back, and left it all." $29.99, 13"x12"